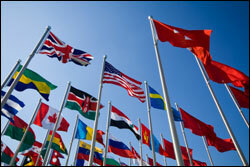 Free software and websites for learning foreign languages. Download the best freeware to learn French, Spanish, Chinese, German, Swedish and more. Languageisavirus.com, aside from offering many well-written and insightful articles about the field of creative writing, also provides a list of online tools that can actually help students come up with some very creative poetry, even if they are having a difficult time getting started with writing poems. Road To Grammar is a free site that offers more than 300 online English grammar quizzes for ESL, TESL, EFL, TEFL, TOEFL, grammar and vocabulary practice, as well as games for learning grammar. MrNussbaum.com is a huge site with a variety of Flash games for kids ages 6-14. The site has a lot of ads and the design is not very up to date, but the educational games hosted there can still be very useful. 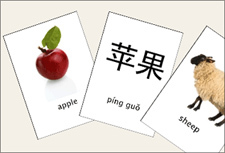 FSI Language Courses is a collection of free, high-quality language learning materials developed by the United States Government under the auspices of the Foreign Service Institute. Textbooks and audio files for learning more than 40 languages are available for free. With Livemocha, you can learn new vocabulary in a foreign language, take part in helpful conversations, and even help other people across the world learn your native language. BBC Learning English is a web portal for anyone interested in learning or improving upon their English skills. The portal is a tremendous resource for studying English. It offers English language news video, learning games, references like free podcasts and crosswords, and much more. BBC languages is a web portal for anyone interested in learning or improving upon a new language. The portal covers about 36 languages and includes comprehensive areas that offer courses, foreign language television, learning games, references like photographs and crosswords, and even an entire area devoted to foreign language teachers and tutors. Grammaropolis is a multi-platform educational website for learning English grammar including animated episodes, books, songs and games. The parts of speech are personified by cartoon characters. Primarygames is an entertating site for teachers, parents, and kids featuring free educational games, coloring pages, virtual worlds, holiday activities, musical postcards and much more. You might find the animated ads a bit irritating, but there is still lots of great content here. Digital Dialects is a website that features a number of interactive games for learning basic vocabulary and phrases in 55+ different major and minor languages - English, French, German, Russian, Greek, Spanish, Arabic, Hindi and many more. The British Council hosts a great website called LearnEnglish Kids with plenty of stories, songs, games, exercises and other activities for kids learning English as a second language.